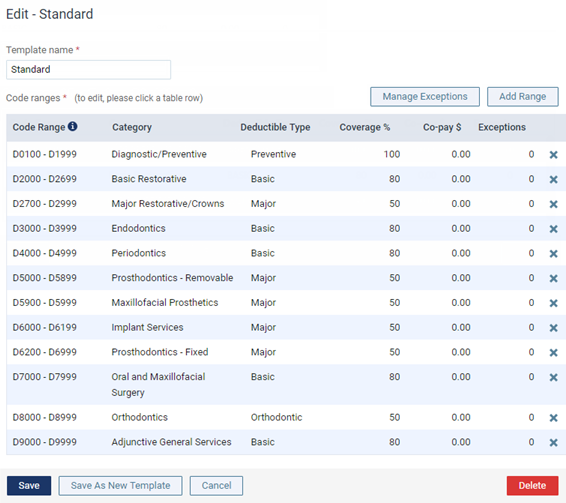 You can delete any of the coverage table templates as needed. Deleting a coverage table template does not affect any insurance plans whose coverage tables were created or replaced with that template. Click (or tap) the Remove button of the coverage table template that you want to delete. Skip step 2. 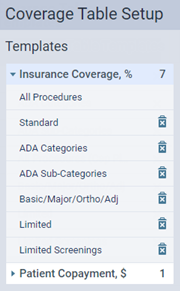 The options for editing the coverage table template appear.